Traveling as a vegan is not easy, especially when you are in a foreign country. This summer, I traveled to Japan with two friends (who are not vegan) and experienced what that was like. 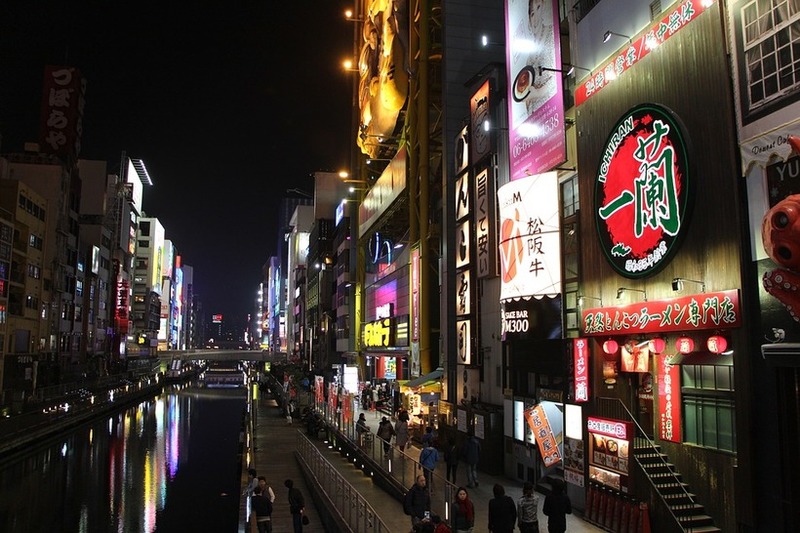 Our first stop in Japan was Osaka, a lively city known for its dynamic food scene. However, I quickly discovered this was not the case for vegans. Japanese society, as a whole, loves meat and dairy. Aside from sushi, other popular dishes are ramen, BBQ, udon, curry, takoyaki and Osaka’s favorite, Okonomiyaki– all of which normally contain some type of meat or egg. While I tried my best to order only vegan food while I was here, it was far from perfect because many of the restaurants did not have English menus nor waiters that spoke English, and Google Translate was only able to get us so far. As a result, I ended up making a lot of mistakes. I ordered food that came with meat garnishes unexpectedly (bonito fish flakes) and food that was prepared in fish stock (dashi). One time, my friends and I even waited for 45 minutes at a ramen restaurant before realizing they did not have vegetable broth. We ended up staying since we were all starving (and jet-lagged) so I ordered vegetable toppings for my ramen and ate the noodles without the soup. It was not ideal but I took it as a lesson to do more research next time before entering a restaurant. Out of the three cities we visited in Japan, Kyoto was my favorite. Not only because it was smaller and quieter than Osaka but it was a city that blended new and old beautifully even when it came to their food. One of my favorite places in Kyoto was the Nishiki market, a large food hall with hundreds of family-owned vendors selling all types of traditional Japanese food. You could find everything from fresh seafood to ice cream and there were plenty of vegan options too. 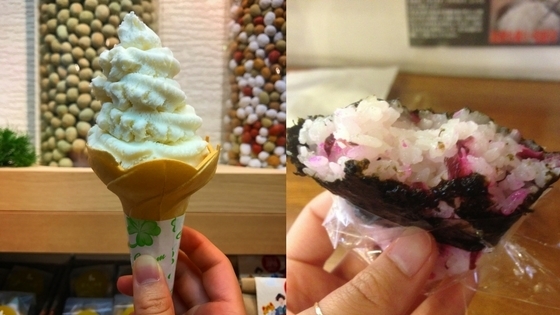 My favorites were soy ice cream, fried-rice skewers and rice balls with plum and pickled vegetables (onigiri). What was also really great about this market was that most of the food had English signs on them. My friends and I ended up spending hours here examining and trying out different food. At night, I stumbled upon a vegan restaurant called Veg Out, where I ordered an assortment of locally grown Japanese vegetables. This was a refreshing meal to me because most of the restaurants we dined in did not serve vegetables entrees. Most of the time, vegetables were served as side dishes or they were pickled. Out of curiosity, I peeked into a Japanese grocery story once to see what was in their produce aisle and surprisingly, I didn’t see that many leafy greens. They were mostly radishes, fruits, and yams. Tokyo was a very easy city to be vegan in. 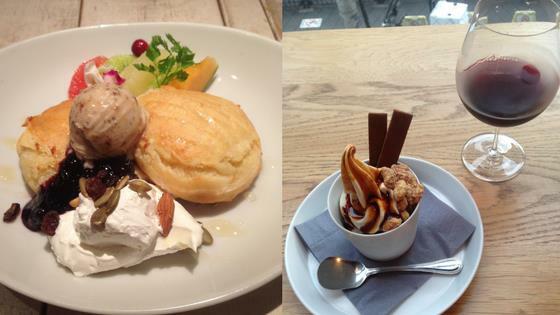 Thanks to apps like Happy Cow, I was able to locate vegan restaurants easily wherever I went. I was able to find everything from vegan donuts to vegan pancakes. Among my favorites were Ain Soph Journey and Restaurant 8ablish, which both featured a more western menu. 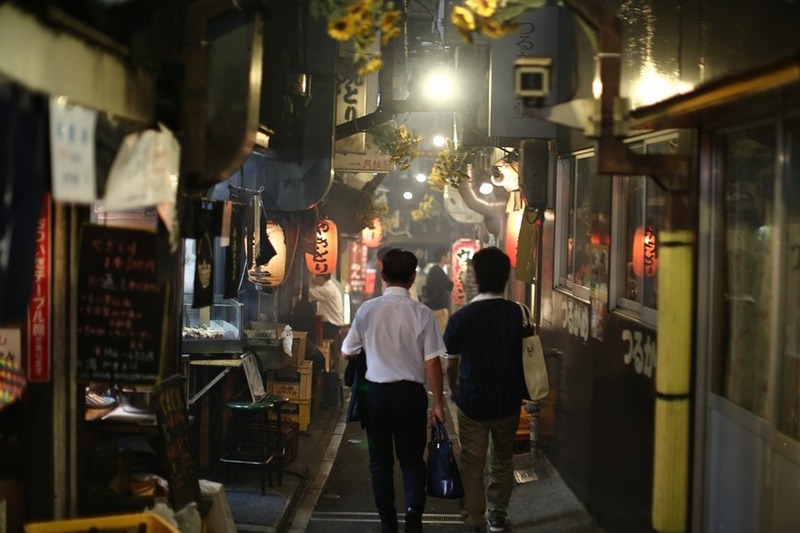 At night, my friends and I visited the famous Omoide Yokocho alleyways, which is basically a narrow labyrinth of bars and restaurants. The restaurants were all packed with people sitting elbow-to-elbow, in front of hot grills waiting for skewers of meat and vegetables to be cooked. My friends and I ordered a dozen of skewers including green peppers, mushrooms and tofu for me and topped it off some ice cold beers. It was a wonderful way to end a summer night. Can you find vegan options in a fish market? Yes, you can! On our third day in Tokyo, my friends and I checked out the world famous Tsukiji fish market, the largest wholesale fish market in the world. At first, I worried they wouldn’t have any vegan options at all but to my surprise, several of the restaurants had vegan sushi rolls. They weren’t advertised as vegan but they only had rice, seaweed, and pickled vegetables in them. I ordered a whole bunch of these with a gigantic bowl of miso soup and I was pretty satisfied. Traveling as a vegan in Japan was difficult during my first few days but it became much easier once I learned what to order and what to avoid. 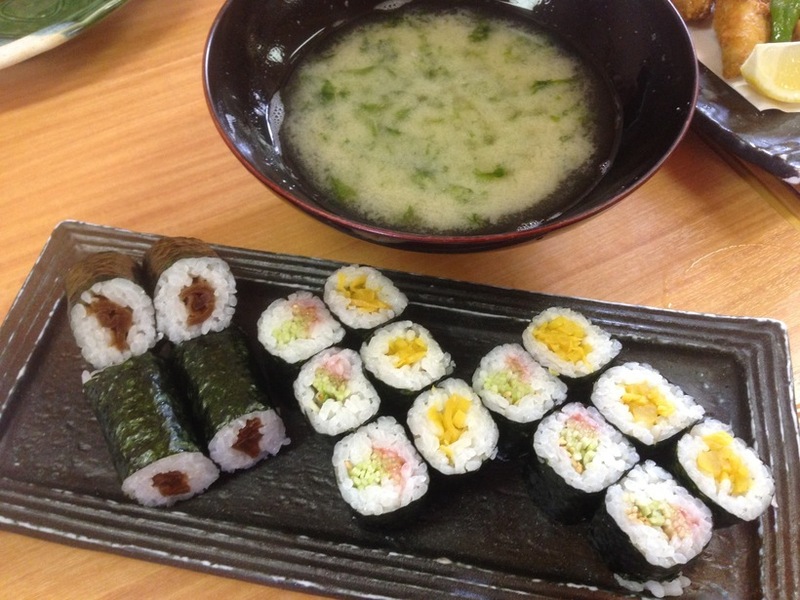 If you are vegan and thinking about visiting Japan, I would highly recommend learning some basic food terminologies in Japanese before you go, as well as the name for their most common dishes. This will make your dining experience much easier. If you end up in an area without any vegan options, go to a convenience store like 7 Eleven or Family Mart to pick up snacks like ume onigiris (rice wrapped in seaweed with plums), nuts, salads, and dried fruits. 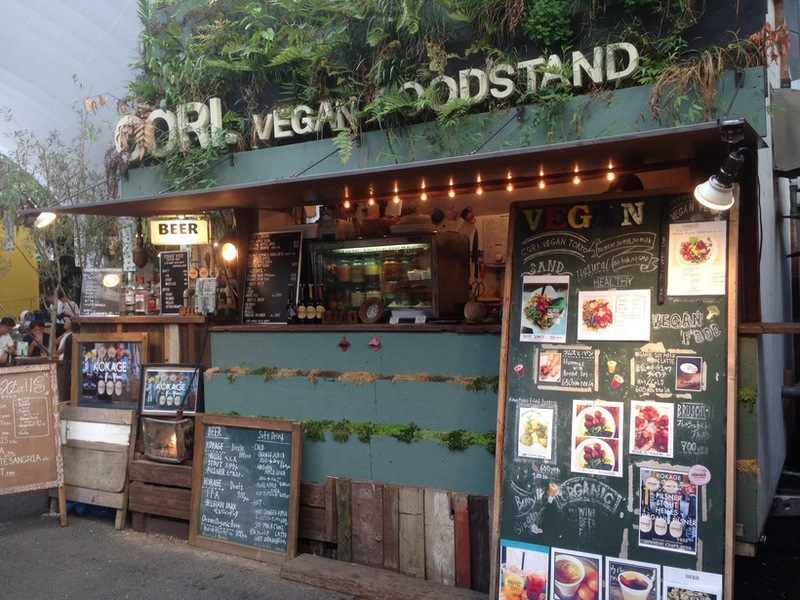 Lastly, if you don’t have this already, download the vegan restaurant locator app, Happy Cow, before you go and you will be one happy vegan in Japan. Hui is a personal development and travel blogger based in New York City. She writes about all the things that inspire her and interviews travelers and dreamers from all over the world about how they overcome their fears. Hui can be found at her blog, The Tiny Punch .